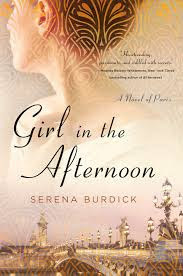 Dripping with sensuality, dancing with tragedy and ripe with secrets, Serena Burdick’s debut novel, Girl in the Afternoon (2016), brings to life Belle Epoque Paris through the eyes of Aimee, an aspiring painter from a wealthy but dysfunctional family. Aimee is a protégé of Edouard Manet and, at eighteen, has already suffered from losing the man she loves (her stepbrother Henri) and suffering the ultimate betrayal at the hands of her coquettish and unpredictable mother, Colette. Aimee’s tale is a deeply personal one, but one set against periods of tumultuous change in France, politically and in the world of art. Studios and exhibitions provide the canvas for our story, while painting and modelling come to stand for the subjects of love and loss. But the novel isn’t just about Aimee. Burdick deftly gives us access to a variety of viewpoints — most effectively, for me, that of the often ignored yet deeply perceptive grandmother, Madame Savaray. The ending is as happy as this web of conflicting desires and perspectives can allow — that is to say not straightforwardly happy at all. Girl in the Afternoon is subtitled ‘A Novel of Paris’ and it is in capturing France — the city, the countryside and the people — that is most successful. The transition to England in the latter half of the novel is a little jarring and I was pleased when we returned the more vivid setting. The frame narrative, while brief, wasn’t as emotionally affecting as the core story, although I understood the impulse to bookend the messiness of human life, emotions and relationships. What impressed me most about Girl in the Afternoon was its avoidance of cliché and ability to surprise, even though the reader may initially feel in a position to observe what the characters cannot. 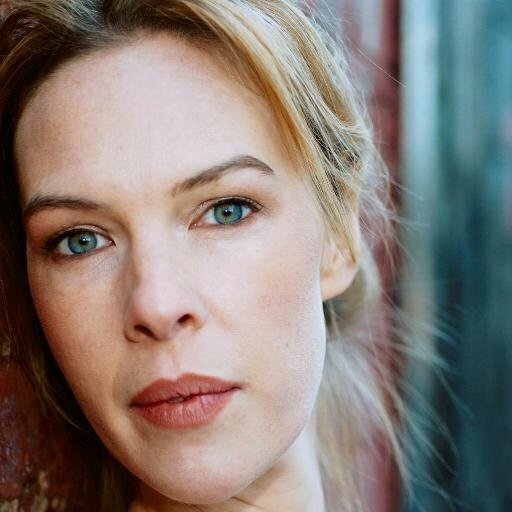 Burdick has written a love story that isn’t a romance, an homage to the Impressionists and a portrait of parenthood that encompasses the difficulties of nineteenth-century childbirth, the pain of uncertain paternity and the ability of men and women to parent children who aren’t theirs at all. Do you have any suggestions for what the Secret Victorianist should read next as part of my Neo-Victorian Voices series? Let me know — here, on Facebook, on Google+, or by tweeting @SVictorianist!